Why Kilkenny Self Storage Company? 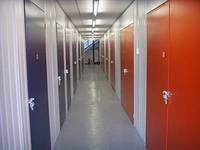 Whether you are de-cluttering, moving house, renovating, storing files or you just need to free up some space in your office, Kilkenny Self Storage can offer a storage solution to meet your needs. Want to use selfstorage to your advantage? 1. Tired paying high rent, thinking of downsizing to reduce rental payments? Use storage to do this while still making economic sense. Selfstorage should not be more than half your rental savings so it pays to use selfstorage. Call our office for more information on this. 2. On the other hand if you are feeling cramped in your rented accomodation dont pay extra rent by getting a bigger house. Simply use selfstorage to declutter. Self storage will not exeed half of the extra rental payments of a larger house so it makes sense to use selfstorage. 3. Moving House- Want to declutter your house before you put it on the market? Initial impressions are everything to housebuyers so use selfstorage to increase your chances of a quick sale at an acceptable price to you. 4. Home Improvements- Deciding to hold off on moving due to the current uncertainty in the property market but want to improve your house interior. Why not use selfstorage for your household goods & effects while you concentrate on your renovations. 5. File Storage - Now that files have to be retained for up to seven years, free up office space by moving your archived files to selfstorage. 6. Business Storage - Merchandise companies use our units as a depot to store goods prior to selling their stock. We can accept deliveries on your behalf and save you time. Other businesses store their stock in our units. You will have your own lock and key to your individual unit and you have access to your unit, 6 days a week, as often as you like. *This is an approximate guide and individual requirements will differ. Contact Kilkenny Self Storage for your Storage Rental Quote! Kilkenny Self Storage , Drakelands, Kilkenny, Ireland.